Everyone is familiar with couponing, but how about extreme couponing? Read on for more information from DealDash. Have you heard of extreme couponing? Extreme couponing has become a very popular trend over the last several years with people who do it achieving massive savings on their grocery bills. While extreme couponing may seem a little intimidating to do it is actually a fantastic way to save a great deal of money on the groceries that you purchase each and every month. Here are some tips, tricks, and hints on how to get started with extreme couponing, from DealDash. You will be able to develop a stockpile when you take part in extreme couponing. This means that you will be able to stock up on things that you use regularly so you won’t need to purchase them as often. You just need to make sure that you are rotating any food items that you stockpile to be able to use them before they expire. You also need to make sure that you have enough room in your home to stockpile items as you do not want to have grocery items all over your home. If you have a pantry or basement these are excellent places to keep your stockpile. If you have a very large stockpile it would be a good idea to write the expiration date in marker on a very visible location on your items. This way you won’t accidentally let any of them expire. Getting your hands on lots of coupons is easier than you might expect. 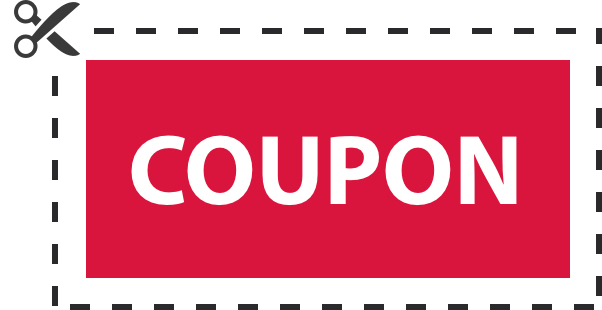 You can the coupons from newspapers, online coupon cutting services and even by printing out coupons. You can accumulate coupons quickly and as long as they are for things that you actually need and not for things that you want to buy on impulse, you will have the chance to save a great deal of cash. As your friends and relatives to save their unused coupons for you, and you will have a huge stack of coupons to use in no time! Extreme couponing is a great way for anyone that wants to save money to start doing just that. You can easily learn more about extreme couponing online or there are many books that have great information on this process as well. With the money that you save on your groceries, you can apply it to other bills or even start a savings account for you yourself or a college fund for your child. You just make sure that you have the time and commitment to go after this degree of savings and you will be more than pleased with the results that you get. Thanks so much for reading this DealDash article on learning about the basics of extreme couponing. If you enjoy couponing, keep checking this blog, because we always love to talk about how to save money! Do you need home items? Go check DealDash for art, beauty, kitchen items, and more. DealDash has all of the items that you need. Visit DealDash now to see how much you can save. Have a great time on DealDash and happy bidding everyone! This entry was posted in Uncategorized and tagged couponing, coupons, Deal Dash, DealDash, DealDash Auction, dealdash auctions, dealdash.com, extreme couponing, family, kitchen, money saving, savings, shopping on September 8, 2017 by . Love saving money on your shopping? Then look no further than this article for money-saving tips by DealDash. Many families are trying to make their monthly income stretch further. This often means looking for ways to save money on their monthly purchases. One way to save money on your monthly purchases is by using grocery coupons. Using coupons for the groceries that you typically purchase can end up saving you a great deal of money, making your monthly budget stretch even further. Here are some tips to help you become successful using grocery coupons, by DealDash. You need to get into a routine and get organized when it comes to using grocery coupons. You will find that if you set up a routine for couponing, you will find that you will accomplish more. If you strive to become organized with your coupon activities you will be able to maximize your savings. So you need to set up a schedule of looking for coupons as well as getting organized in when you add and remove coupons. Setting up a coupon binder is a great plan for getting organized. Now that back to back to school supplies are on sale, it’s the perfect time to pick up a binder to use for coupons. Making use of couponing websites online will be a great asset in being successful with using grocery coupons. You will want to take advantage of sites that offer free coupons. Also, coupon clipping websites that send you paper coupons for a nominal fee. Making use of sites like these can help you to maximize the coupons that you get so you can make the most of the savings that you are able to get. If you have any friends, family members, or neighbors who also like to coupon, consider setting up a monthly coupon swap. You can all exchange your unwanted coupons for something else. If you know anyone who still gets a Sunday paper delivered but doesn’t use their coupons, be sure to remind them to save the coupons for you. Planning menus around sales will also help you make the most of your coupons. By planning meals around sales, you can make use of coupons. This will get you the most savings that you can from coupons for the items that you need for your meals. If you are planning your menus around coupons, though, be sure to check and see if the store brand of whatever you have a coupon for is cheaper per serving. Sometimes you might be surprised! Finally, do not get discouraged if you do not get the savings that you want. It can take some time to be successful using grocery coupons. So, take your time and learn all that you can about using coupons for groceries. This will eventually get the savings that you want. Thank you for reading the newest DealDash article. I hope that you found these couponing tips helpful. Come back to DealDash Reviewed every day for new articles on this blog as well as on our sister blog, DealDash Tips. If you have any requests for specific articles, please write a comment down below. DealDash can help you save money as well. Check DealDash for items you need. Visit DealDash now and see the new items up for auction. Good luck and happy bidding everyone! This entry was posted in Uncategorized and tagged coupons, Deal Dash, DealDash, DealDash Auction, dealdash auctions, dealdash.com, family, grocery, grocery shopping, shopping on August 17, 2017 by .